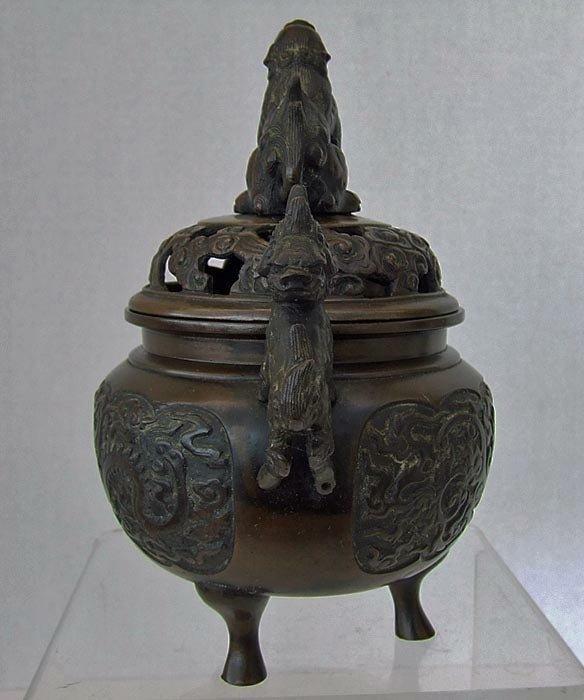 Superb quality antique Chinese, Qing Dynasty 17th -19th century bronze tripod incense burner – censer constructed of five separate elements and a globular form body supported on three legs decorated with two lobed medallions depicted, cast and engraved in low relief is a pair of dragons, chasing the flaming pearl, flanked on both sides with twin handles fastened to the body by bolts, each handle formed in detailed relief as climbing Qilin. 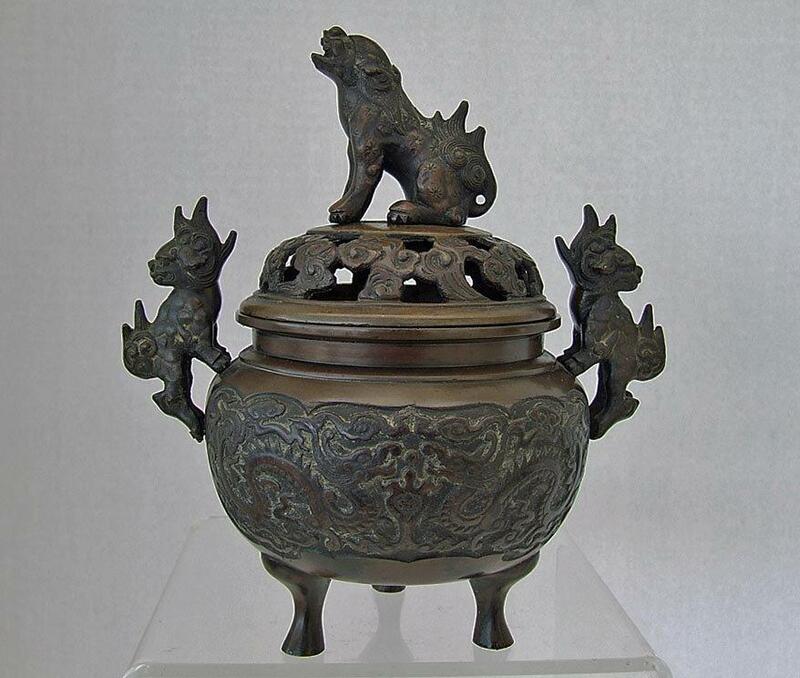 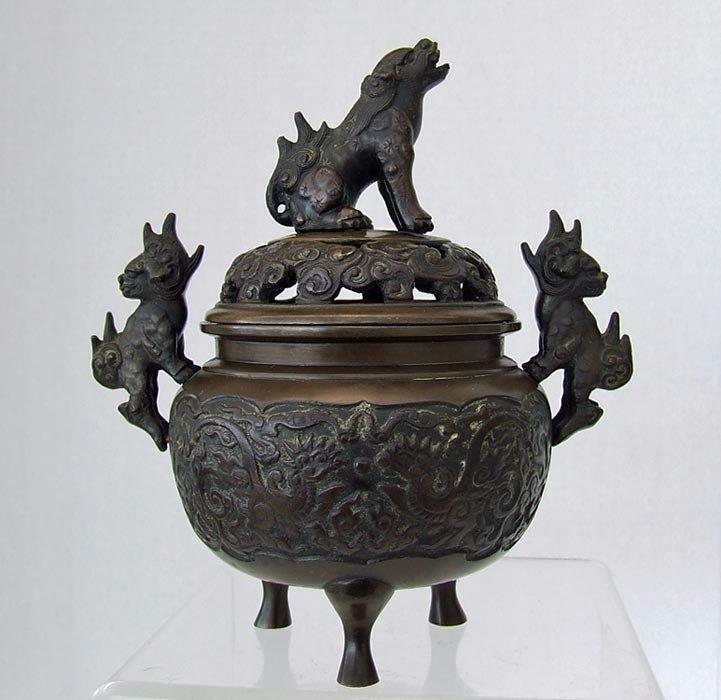 The domed lid pierced and chased with cloud motifs and surmounted by a sitting Buddhist Foo lion, fastened to the lid by bolts. 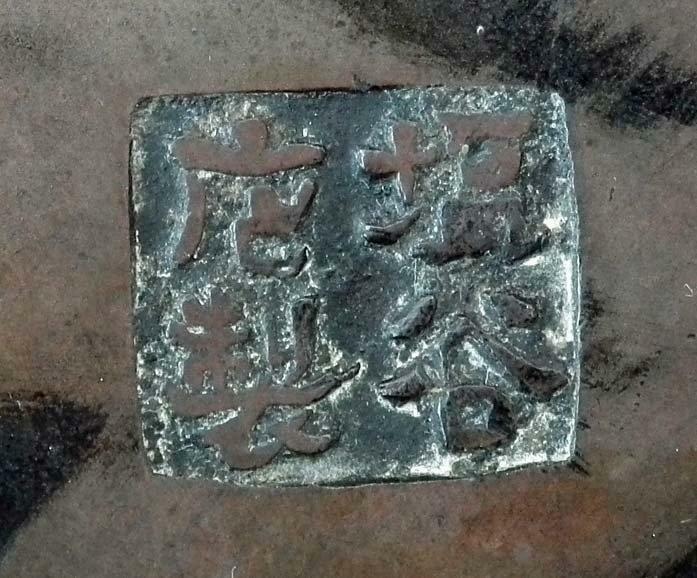 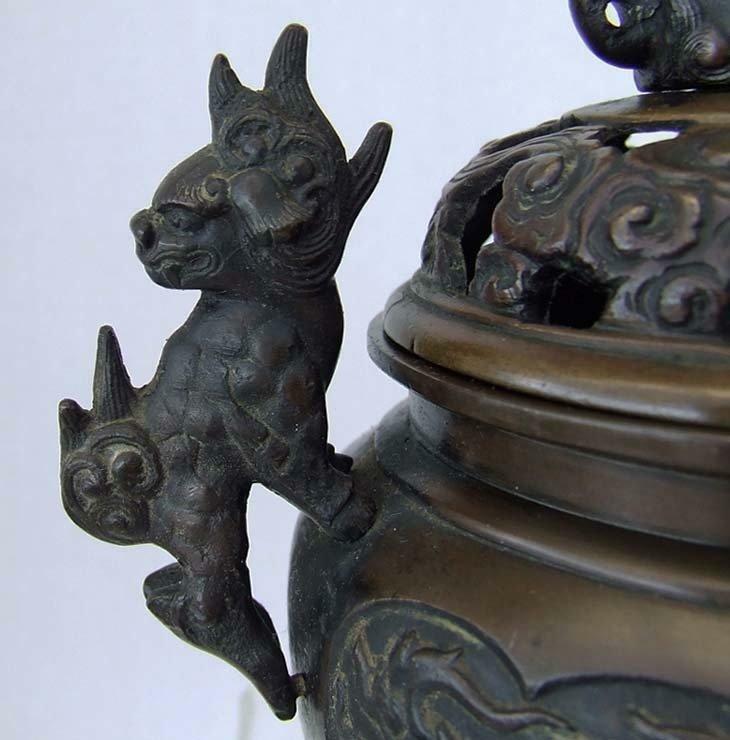 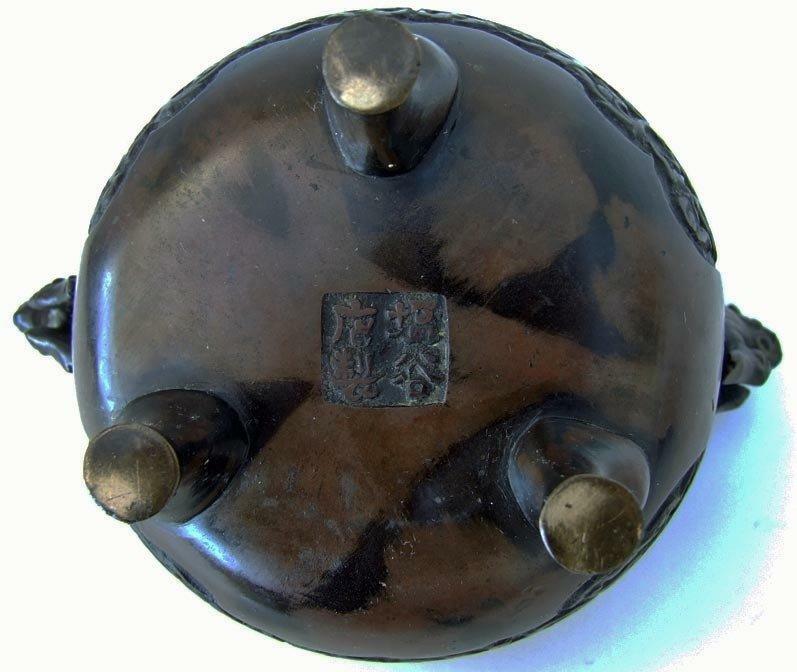 The bottom of the censer is signed with four characters apocryphal Xuande mark. 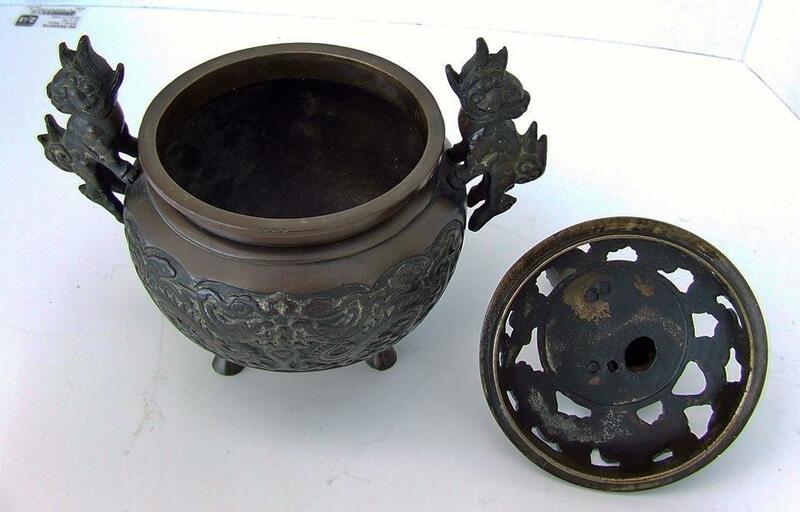 CONDITION: In good condition considering its age, showing age and usage, handles are loose due to the bolts. 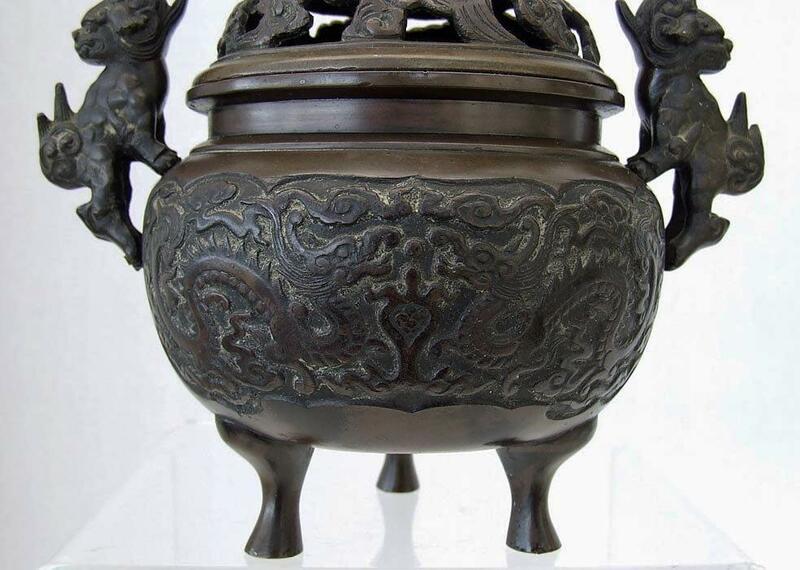 The looseness of the handles is the cost from handling and using for hundreds of years.